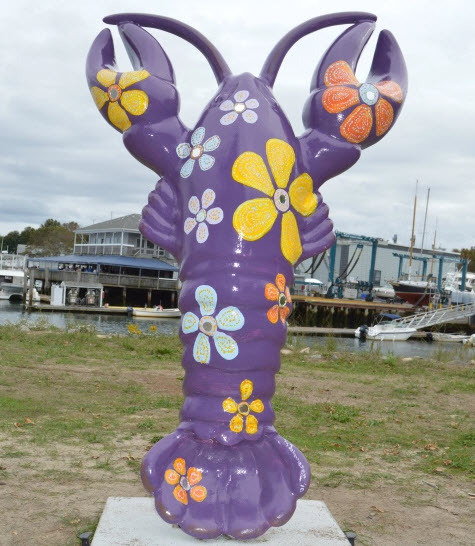 The highly popular public-art lobsters spread throughout Plymouth will be sold at auction tomorrow night (Thursday, Feb. 21) at the 1620 Winery within Cordage Park. Minimum bids for each lobster: $500. The decision to remove and auction the lobsters met with much controversy and consternation from lobster lovers. Is there a Plymouth resident or tourist who has NOT been photographed beside a lobster? Come to Cordage to learn what the Plymouth Chamber of Commerce has in store to replace the about-town lobsters. See you at the Winery? Your prediction for the highest bid?